3 Easy Spring Accessories To Try. The easiest way to hop onto any new season trend is to snap up an accessory or two. It’s a fun way to play with fashion’s latest offerings without breaking the bank and can add a boost to your classic pieces at the same time. This upcoming season is no different with oodles of fun micro trends to try which I could fill countless blog posts with, but to keep it short and sweet here are my top 3 easy spring accessories to try. First up there’s the return of the slide or barrette. If you haven’t worn one of these cuties since your mum dragged a brush through your tangled mop and jammed one into your hair (taking a chunk of your skull with her as she jammed), it’s time to revisit this cutsie look as a grown up. 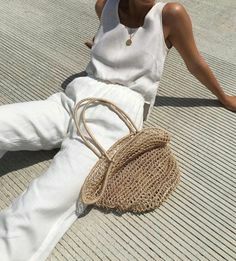 Instagram has been awash with all sorts of slide antics from decidedly over-priced designer versions right through to Etsy creatives nailing the perfect piece at a more purse friendly price. To be super on-trend opt for slides with pearl or diamante details and wear either as a single statement piece or mix and match them in your hair with a messy up-do – perfect for easy summer style. Sticking to the theme of summer style, seashells are back with us for another season on anything from jewellery to bags to shoes. Look out for conch shells and oversized themes, they scream vacation-ready and are perfect for throwing in your suitcase to amp up your holiday style. But if you’re not a fan of a beachy vibe, don’t panic, stacking bracelets and bangles is also a thing this season. I love a mix of bangles and beads with a dusting of diamante for added sparkle, but to be super on-trend mixing your metals is the way to go this season. 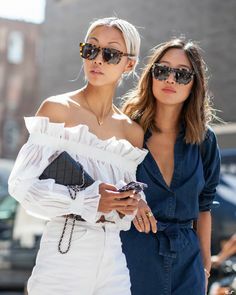 Forget the idea that gold and silver shouldn’t mix, grab some pieces of the same style – either statement or delicate, and mix away Add to this the fact that the boho look is back with a bang for the warmer months and you have an easy way to jump right onto the trend via your accessories. Finally, I’m also loving all the print silk scarves this season. Whether you’re popping yours in your ponytail, wrapping it around the handle of your tote or sporting one as a bracelet, this is a no-sweat way to tap into a trend. Look for summer hues in pastels or brights and bold prints. For inspiration, I always head to Pinterest. 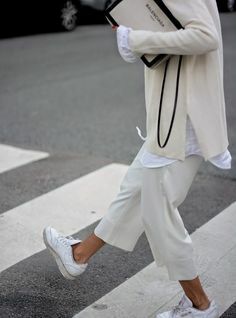 For more advice on all the hot spring/summer trends head to this page to find out how to snap up our SS19 trend report. Spring accessories… where to shop. So the great thing about diving into the spring accessories trend is that they don’t cost an arm or a leg. Here are some of my favourite pieces out there right now. Click the images to shop. #AffiliateLinks Used.